The registered nurses who apply their medical knowledge and clinical program to make an attorney’s job influential and easier are known as the legal nurse consultants. Certified legal nurse consultant is a medical expert in legal cases who helps the lawyers and the attorneys in interpreting charts, records, and consults them on the healthcare topics. They can offer a broad range of services which includes interpreting medical records to preparing deposition questions. There are many types of cases on which these consultants give their valuable opinions. The required skills and responsibilities an aspirant must have for this job involve active learning, administration and management, critical thinking, social perceptiveness, decision-making, time management, systems evaluation, complex problem-solving, etc. If you want to pursue your career as a legal nurse consultant and wish to know the basic information, have a look at the following article. Collecting, organizing, and examining medical records and other essential healthcare or legal documents. Form timelines or chronologies for medical records. Discussion with the clients and appropriate parties regarding case strategies. Train or direct other nurses involved in the practice of legal nurse consulting. Drafting documents to be used as attorney work product or as a proof. Attending hearings, meetings, depositions, arbitrations or trials. Examining and commenting on established standards of care. Locating rootstock and construe damage. Conducting research and outline medical literature. Congregating timelines of medical events and find out conflicts. Educate on medical facts and issues to legal parties. Find out damages resulting from medical aspects of a case. Discover and hold on expert witnesses or act as an expert witness. Help in screening new cases. Must have a bachelor’s or higher degree in nursing or equivalent field. 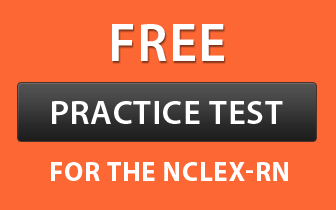 Must have passed the National Council of Licensure Examination for Registered Nurse (NCLEX-RN). Must have a current licensure as a registered nurse in the United States or its territories. Must have minimum 5 years of experience practicing as a registered nurse. Proof of legal nurse consulting experience for about 2,000 hours within the past five years. You can find a legal nurse consultant working in different types of clinical settings like hospitals, clinics or long-term patient care centers. They either work full-time in a courtroom to provide witnesses and attorneys or as a part of the litigation team. They basically work on cases like criminal medical cases, medical malpractices, injury caused by a doctor or a hospital, and class action litigation suits. Besides this, health insurance companies and HMOs also offer jobs to legal nurse consultants in attorney firms, forensic departments, and prosecution offices. After getting enough experience, legal nurse specialists can even start their private consulting firms. The first step is to become an RN. There are three types of nursing programs available to become an RN – nursing diplomas, 2-year Associate’s Degree, and 4-year Bachelor’s Degree in Nursing. Coursework in nursing programs comprises of medical terminology, human anatomy, psychology, human physiology, nutrition, and chemistry. Candidates can do specialization in pediatrics, surgery, oncology or the emergency department. Along with this, you can take part in clinical practice in elderly care centers, public health departments, and community clinics. Soon after graduating from a nursing program, candidates must finish the licensing procedures according to the laws of their states. It is essential for all the nurses to clear the National Council Licensure Examination for Registered Nurses (NCLEX-RN) to become a licensed RN. Some states may ask for additional requirements too. Candidates must be experienced in clinical nursing for getting certification as a legal nurse consultant. The American Association of Legal Nurse Consultants (AALNC) wants the applicants to fulfill several criteria like 5 years of practice as a registered nurse. If registered nurses are newly licensed, they can start working as a staff nurse in hospitals. Besides this, they can also work at doctor’s offices, private clinics, or home health care services. Candidates can complete legal nurse consultant program courses or certificate programs as it will prove to be a milestone in their career. Many programs only enroll registered nurses as it is necessary for the students to have a nursing background to understand the course and subjects. Some of the topics covered are – medical records review and evaluation, legal terminology, and trial preparation. They should also know about the practical things that are necessary to become a legal nurse consultant like how to find clients and marketing LNC services. Though, certification is not important for registered nurses to become or work as a legal nurse consultant, but it would be beneficial for the candidates to have it as it will add to their experience. The AALNC wants the applicants to give the evidence that they have completed a minimum 2,000 hours of legal nurse consultant services during the past five years and had cleared the exam. Elder law, risk management, medical malpractice, personal injury and workers’ compensation laws are some of the topics on which questions may be asked in the exam. This way, you will get the legal nurse consultant certification which would help you in overall growth. As per payscale.com, the median salary of a legal nurse consultant was $72,510 (as of Jan 12, 2016). As per indeed.com, the salary of a legal nurse consultant was $21,000 (as of March 07, 2016). The highest paid professionals were RN Manager Infection Control with an average annual pay of $106,000. Legal nurse consultant made $21,000 per annum. The salaries of other professionals were between $21,000 and $106,000.